Winchester, bi folding doors, replacement windows, doors, conservatories, orangeries. 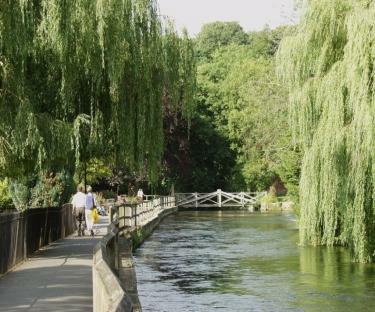 Winchester, England, is a vibrant heritage destination just an hour south west of London, with world class attractions and architecture including a magnificant Cathedral, award-winning pubs and restaurants and a tempting array of independent shops. This culturally rich medieval city is surrounded by idyllic Hampshire villages and the fabulous rolling countryside of the South Downs National Park. Romsey Conservatory Company (Rococo) is a family run business which has been operating on the outskirts of the city for over 18 years. We are proud of our reputation for expert advice, superb customer service & excellent, top quality products. Since our inception we have worked on numerous projects building conservatories, installing new windows and doors for our customers. Examples of our work are all over the area and surrounding suburbs such as Alresford , Shawford , Tywford , Littleton , Stockbridge to name a few. Many properties in this region have their own personality and character, and enhancing or maintaining this is vital for their owners. Rococo have recently seen a trend with customers who are developing new properties or re vitalising their current home by adding kitchen extensions or lounge extensions, Orangeries and garden rooms and selecting architectural aluminium to deliver a more modern and contemporary view at the rear of the property of the house, but maintaining their Edwardian feel at the front, with the use of more natural products such as sliding sash windows or Storm Evolution’s, timber alternative products. We have a showroom on Romsey Industrial Estate so please feel free to pop in for a coffee or tea in our showroom to see the products we have on offer and find out what other people are doing in the area.